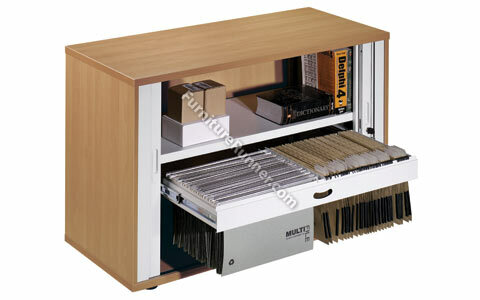 Arista Side Opening Tambour - Available in 3 sizes. Compatible fittings available for added ﬂexibility. Lockable with foldable keys. Silver grey tambour doors. Wooden carcass with steel inner. The 730mm high tambour is desk high.